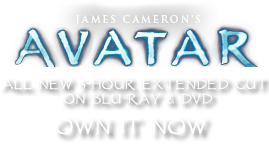 Unobtanium Mine and Refinery | Pandorapedia: The Official Guide to Pandora | Own AVATAR on Blu-ray & DVD Now! The unobtanium mine on Pandora (RDA ESM 01, or Resources Development Administration Extra-Solar Mine 01) is the most distant industrial operation from Earth and the only source of unobtanium so far developed. Unobtanium ore is excavated from three open-cast pits, each located over major lodes of unobtanium detected in preliminary surveys of Pandora by specialized probe devices. 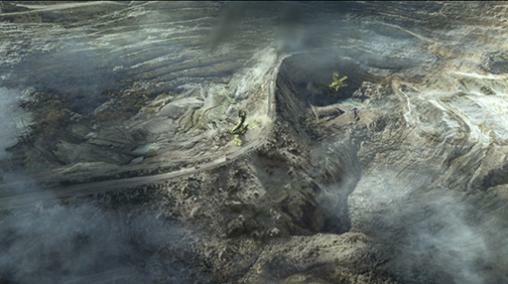 Excavation has been carried out with standard fusion-electric powered mining equipment modified with sealed operator cockpits and atmosphere filtration units. A typical mining cycle involves placing chemical charges above an ore deposit using satellite-positioned drill trucks, detonating the charges to loosen the overburden, then removing the overburden with excavators, robodozers, and dump trucks. After the ore has been exposed it is carefully removed with excavators and trucks; if the ore is pure enough to spontaneously levitate special belt diggers feeding into covered trucks are used instead. The mine and refinery complex is relatively untroubled by Pandoran life forms, with automatic machine guns on guard towers easily able to easily able to cope with marauding ground and air attackers. Regular effluent sprays around the perimeter of the complex keep vegetation in check. Vehicle cabs are shielded against radiation, but mining personnel are advised not to spend more than twenty minutes per day outside their vehicle cabs and are routinely decontaminated before they are allowed into Hell’s Gate. The mine pits are terraced to allow easy access for vehicles, and are gradually outwards. The shape and size of the known deposits at ESM 01 are such that over the mine’s anticipated thirty-year lifetime the three excavation pits will eventually merge into a single crater about 4km (2.5 miles) across. Extracting unobtanium from mined ore is performed at ESM 01’s on-site refinery. It is undesirable to ship any inert matter such as ore impurities back to Earth; the refined quasimetal is made into plates small enough to be handled by a single human working in Pandora’s lower gravity and ready for immediate further processing back on Earth. Most is rolled into levitating foil, for RDA MagLev transport systems, or extruded into superconducting wires for the global grid. Unobtanium’s unique properties are largely dependent on the inner structure of the material, which must be preserved through the refining process. Initial purification is done in large ball mills, followed by successive nitric and hydrofluoric acid rinses. Acidic effluent is discharged into the stream to help control growth of life forms near the mine workings. Unobtanium flakes and ingots are then floated onto an inverted conveyor belt and fed through a multiphase roller mill equipped with non-magnetic neolon rollers; the rate of compression is carefully controlled to prevent heat build-up disrupting the anamagnetic properties of the quasimetal. The two-centimeter thick ribbon of unobtanium is cut to size with laser shears, then graded and packed for shipping. The end product of the refining process is unobtanium sheets one meter by five hundred centimeters, two centimeters thick. These are aligned with contra-facing polarities for ease of handling, then packed in crates made from Pandoran native wood. The crates are designed for easy disassembly on Earth, where artisan furniture factories are willing to pay remarkable prices for the only extraterrestrial woods so far discovered. Description Series of enormous open pit mines on Pandora, and facility to remove impurities before unobtanium is shipped back to Earth. Function Create access to large deposits of unobtanium. Notes Vital engine of Earth economy, but destructive to Pandoran ecosystem and relationship with the Na'vi.